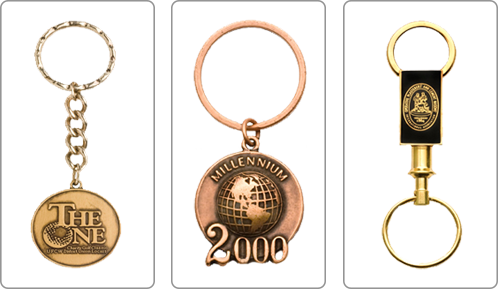 Gold 'N' Things custom key tags are a great way to have your product or company logo visible on a daily basis. They are available in die struck brass along with zinc or white metal castings. Choose from a multitude of plating finishes, styles and functions to embellish your corporate logo or work with our team to create your own design.